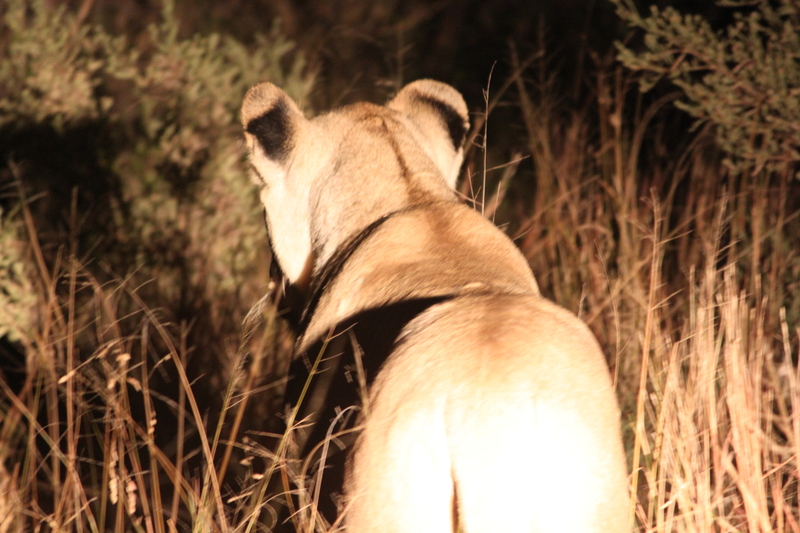 On the way back to our camp our guide spied this female lion who was on the hunt. I’m not sure what she was hunting and to be honest I had mixed feelings about this. I know lions hunt in the wild. But I didn’t want to see the kill. Luckily for me the guide didn’t want to interfere with nature. We headed back to camp for dinner. I had a salad that night. Photo taken in the Okavango Delta in Botswana, 2010. This entry was posted in Travel Photos and tagged 50 Year Project, Africa, Blog, Blogging, Botswana, Hunting, Life, Lions, Lions Hunting, Nature, Okavango Delta, Photography, Travel, Travel Blog, Travel Journal, Travel Photo, Wildlife. Bookmark the permalink. Oh I know, I saw a very fresh kill in Chobe and it was grim. We saw one in the Okavango. Grim–yes very. That’s the Circle of Life (to steal a film title). Not always easy to see or understand but all part of a great big wonderful world. I’m the type that covers my eyes when I watch nature shows. I still love the shows, except for those scenes. I wonder if big cats are as fascinated by laser pointers as my little ruffians? Tho their might be unforeseen consequences to trying this out in the wild…. That is an interesting question, but like you said, not sure I’m brave enough to conduct the study. They seem pretty intent on staying alive and probably wouldn’t mind letting me know that if I messed with them. I don’t like the killing part of nature, either, but it is the circle of life. It is–I understand, but not sure I want to watch it live. Yes, probably best not to interfere! Pretty cool to see this, though. It was amazing to see–such amazing animals. I wouldn’t want to mess with her. Don’t you just love lions – not that I’d like to take one home or anything! But they are lovely – I especially like the part where she’s walking away. Back to you. etc. etc. I wonder what Miles and Att would think of a lion as a sister. I’m with you on not seeing the kill. if i watch nature shows, i keep the remote in my hand for a quick channel change. I do that as well or leave the room quickly.